Dots Earcuff: Sold in pairs. MATERIAL: 1 microns, 18 carat gold plated on 925 sterling silver. 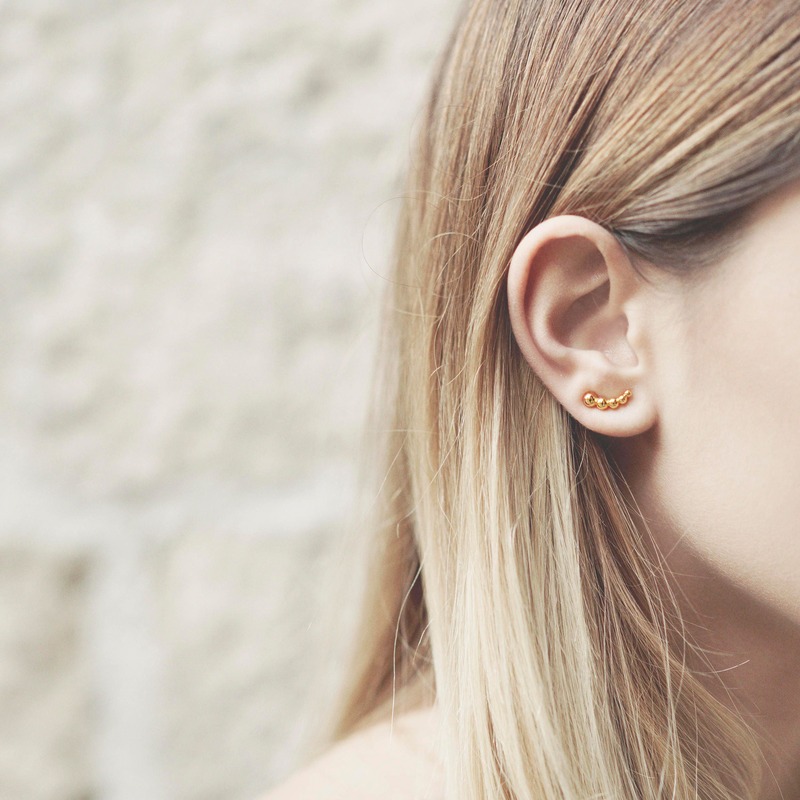 The geometric and industrial world are the bases of inspiration for the Drew Gold Ear Climber earrings. 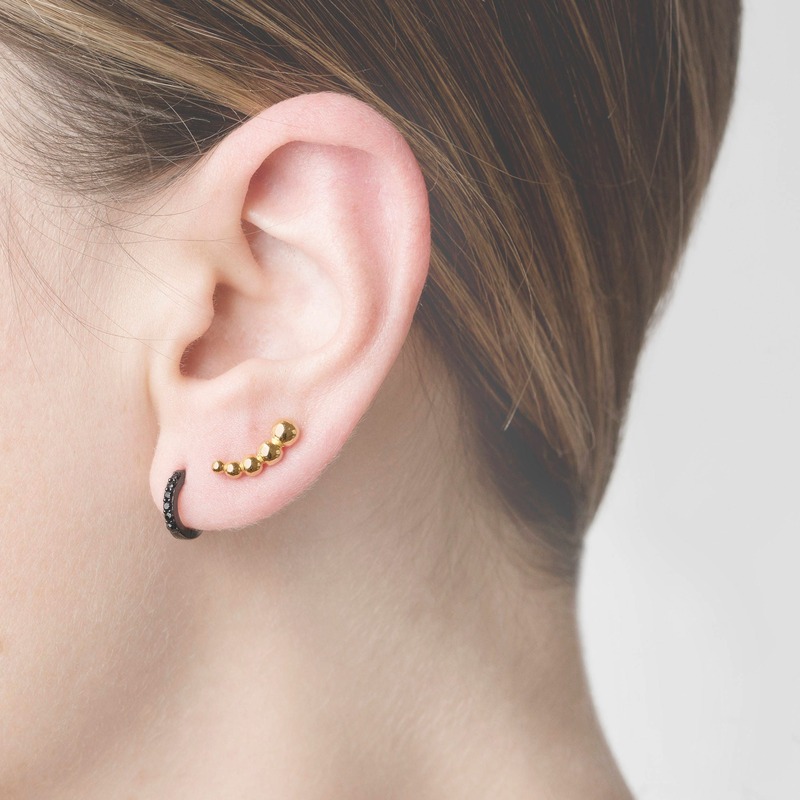 These designer earrings are composed of tiny balls ascending the earlobe. 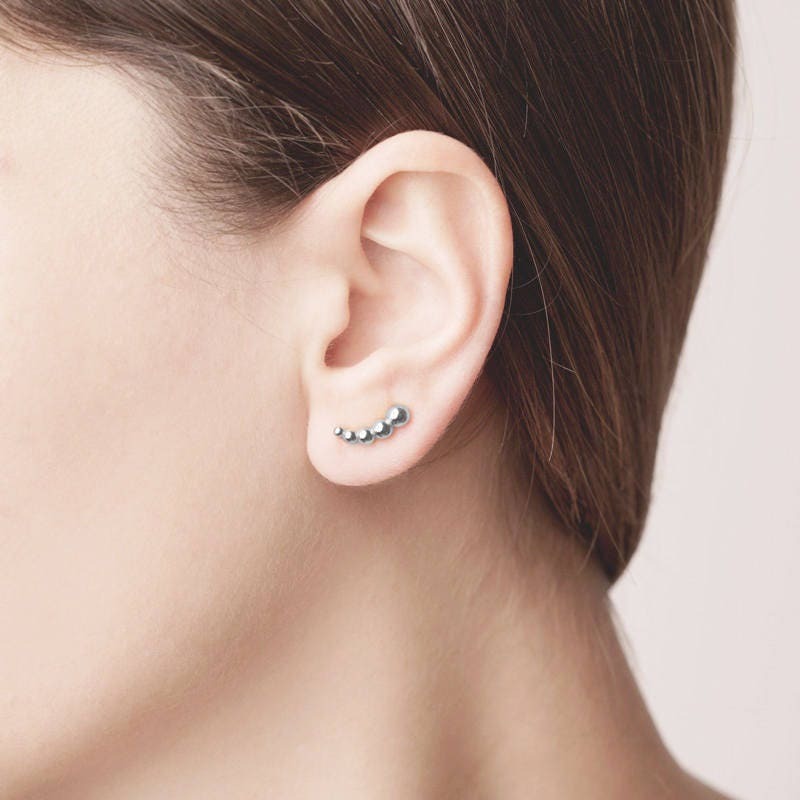 These dainty earrings are in the category of trendy earrings known as Ear Climber. You only need a perforation for wearing them. 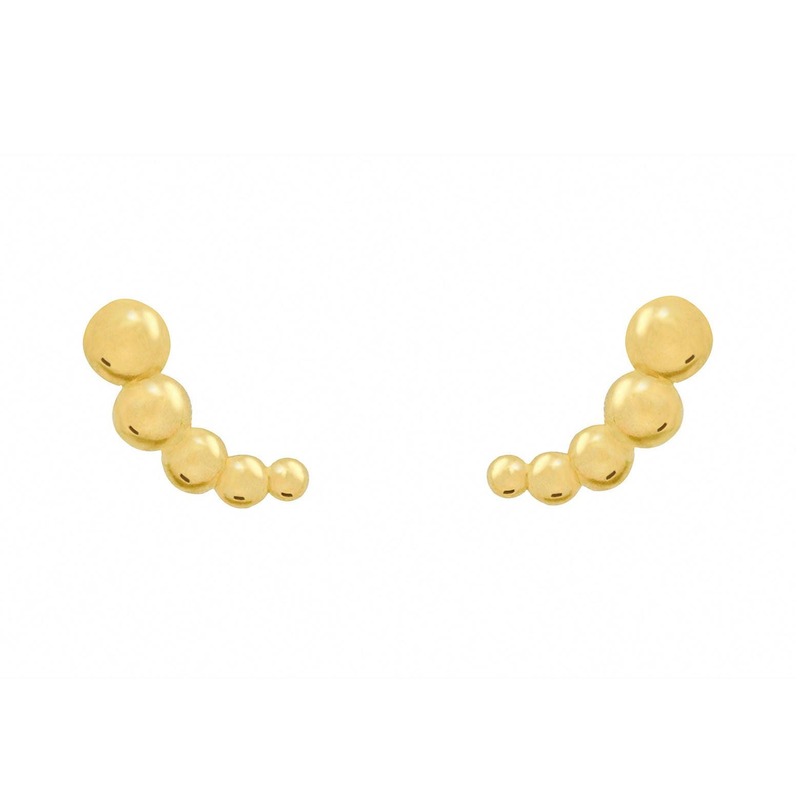 Ball earrings design which are easy to wear and they fit with any look! Be daring and wear these silver ball earrings which give a casual and funny touch to your looks.